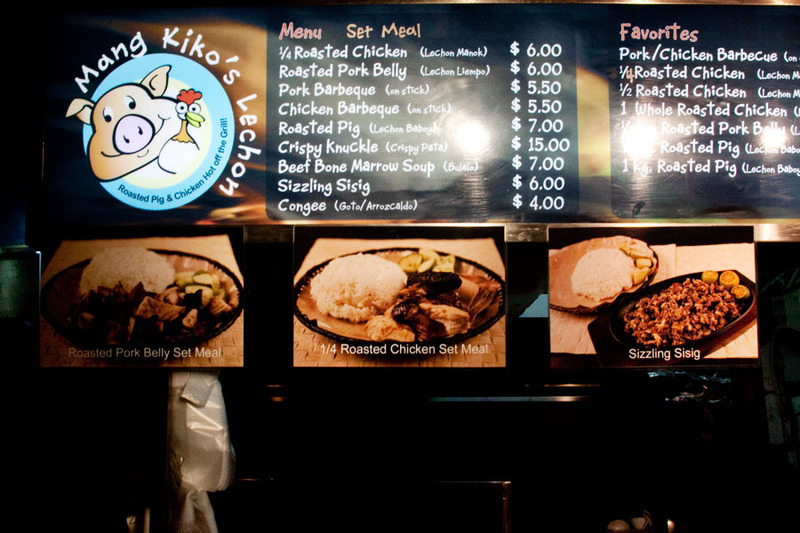 Mang Kiko’s Lechon is located in Somerset Youth Park, very near to Orchard Road in Singapore. 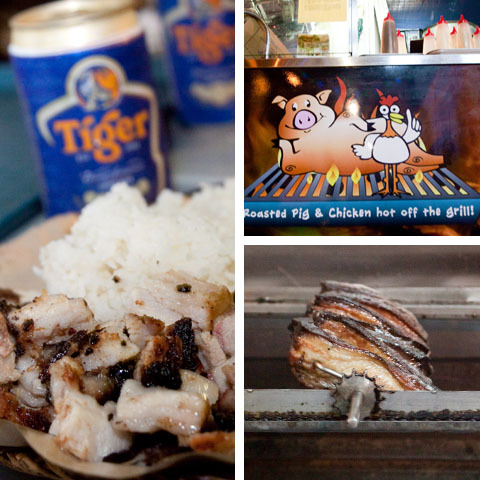 In a typical Singapore food court, Mang Kiko’s serves up some of the tastiest roast pork and chicken from a very unlikely place…an overgrown food stall serving sisig(a chopped pig’s head, snout and ears), roasted pork belly, chicken barbeque, pork knuckle and more. We actually wanted to try the sisig, but apparently this sells out early, so if you are so inclined I would recommend getting there before 8pm. Instead we chose the roasted pork belly. 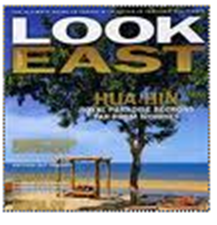 This is slow roasted over an open coal fire and served with rice, lime and a sweet sauce for dipping. It was certainly among the best pork belly Paul and I have tasted – crispy and tender, juicy and flavourful and totally addictive. The serving was very generous and somehow I found myself still eating well past the point of being full 😉 And the value equation is undeniable at only S$6 / $4.30 USD. Some of our friends opted for the barbecued chicken and had exactly the same comments – moist, flavourful and crispy in all the right places. Topped off with a cool, refreshing Tiger beer and you have the makings of a seriously satisfying street food experience in Singapore. Wow, the way you described that pork just made me salivate all over my mouth. 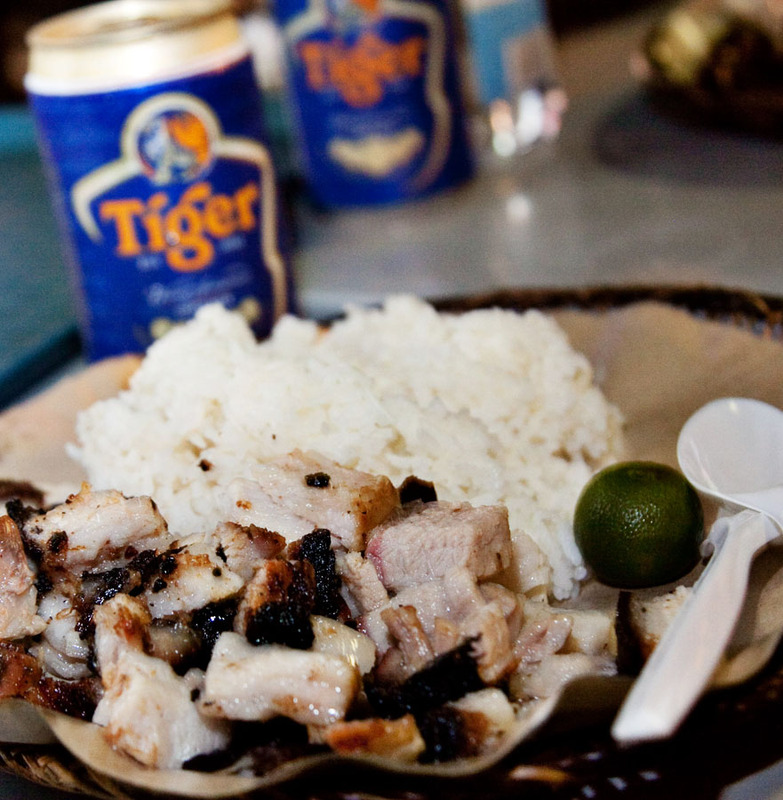 Haha, Sisig is definitely something to try out as well – a bit challenging to eat specially when it’s not prepared right. Will definitely try this stall out.